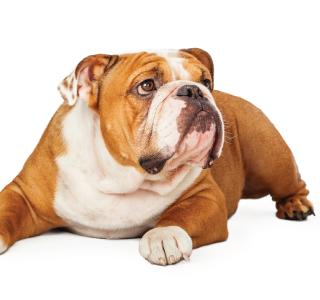 At Creekside Animal Hospital, our veterinarians and support staff have many years of experience diagnosing and prescribing treatment methods for dog behavior issues. We can help determine the cause of disorders such as separation anxiety and obsessive behavior, and then develop an effective, humane training program. The best way to treat this disease is to treat it early and before the problem even occurs. Hello, I'm Dr. Dave Dolan from Creekside Animal Hospital and I'm back with another video on caring for your pet. Our subject today is noise anxiety associated with thunderstorms and fireworks. As you know, summer brings both events and they can be traumatic for your pets. In this video, I’m going to share the signs of anxious pets and ways to minimize the trauma of thunder and fireworks. How do you know if your pet is anxious? Well, some signs include pacing, panting, hiding, or even hovering around you. If you're not around, some pets will destroy furniture or even injure themselves. If you’ve seen this in action, then you know there's potentially emotional, medical, and even property damage associated with pet anxiety. So, let's see how we can prevent it. We use behavior modification using a de-sensitivity training. Basically, that means using auditory stimulation under a controlled setting, starting with a low volume and slowly working to louder volume, all the while calming and reassuring your pet with positive reinforcement, meaning treats and petting them. Sometimes you need to have medication on board before you can even start this though. It depends on the pet. If you can't get to behavior modification, the next and easiest thing to do is to block the noise. If you have an inside room that doesn't have windows that can work well. What you do is you put your dog or cat in there with a bed turn up the music loud so it blocks the sound of the thunder or the fireworks. That's the easiest way. There is a product called a Zen Crate, Z-e-n crate, with its own speakers and vibrating bed that blocks these noises. And we have several clients that have them and their dogs love them. We've also got natural treatments that work for some. There's DAP, the dog appeasing pheromone, and Zylkene, which is a milk protein-based nutrition supplement. Both of those have their followers, and if it works for your pet, great. Next is Benadryl. That's an over the counter product that you can get. Give us a call and we'll give you a dose on that. It sedates me when I take it. Some dogs do better on that than others. Then there's prescription drugs. We have two of those that we use. The first is Gabapentin, which we use for chronic arthritis and pain control postoperatively or in conjunction with another medication. It has a sedative effect. It's a little bit more than Benadryl does. Then the big gun is Trazodone, which is a medication used in people with anxieties and it's much stronger. We start with a low dose and we can work our way up from there if necessary. In order to get these drugs, you need to schedule an appointment with us to discuss your pet’s anxiety levels, health, and options. Depending on what we find, we may send you home with a couple of doses of each to see which works best for your pet, and once we find what works, then we'll give you more. Call us at 281-351-8387 to make an appointment. Again, that number is 281-351-8387 and we will get you in as soon as possible. By the way, it's important to start treatment hours before the traumatic event happens, so if you're going to treat your dog at home, go ahead and start a couple of hours before the storm or the fireworks are starting to go off. Don't wait until they're already afraid. It's a lot easier to prevent fear than it is to treat it.